Autograph Hotels and Apartments Recruitment 2019 | Application Guide and Requirements. 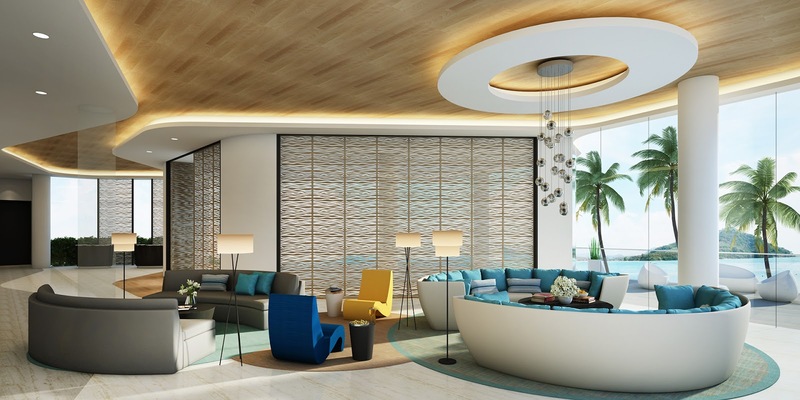 Autograph Hotels and Apartments Recruitment 2019… In this article you will get latest updates on Autograph Hotels and Apartments Recruitment 2019, recruitment requirements, qualifications, guidelines and other important updates for free. Autograph Hotels and Apartments is a first class hospitality outfit located at the centre of Imo capital, Owerri. Autograph is established to render first class service to guest both National and International, maintaining best standard of practice that can be experienced in any part of the world. A Generator Operator is expected to monitor, maintain, repair and carry out the preventive maintenance program on the hotel’s UPS generators and public utility supply. As an Engineering Team Member, you would also be called when needed to multi-task in other sections. Perform scheduled and non-scheduled maintenance on all UPS generators and related equipment, including making repairs such as replacing mechanical seals, re-packing pumps and valves, replacing bearings and belts, checking for proper alignment, repairing fan coil units, brazing and soldering, calibrating controls, working on pressure vessels, replacing piping and fittings. Maintain appropriate record of preventive maintenance and repairs. Visually inspect gauges, dials and mechanical equipment, make basic mathematical calculations, and move and climb on all types of uneven surfaces. Interact with the Operating Engineer and assist in start-up, shut down and operation of all UPS generator equipment. 2-3 years of work experience. Considerable knowledge of UPS generator including repair and maintenance and basic electric and mechanical skills. Skill in the use of hand and power tools (drills, hoisting equipment, reciprocating saw, and pressure washing equipment); dial indicators and testing equipment for air, water balancing and control calibration. Basic mathematical skill in the use of a calculator to prepare moderately complex mathematical calculations. Basic mechanical aptitude for operation and repair of hotel equipment. Basic English language communication skills in order to communicate with customers and co-workers fully understand job assignments and follow manufacturer instructions. Ability to multi-task in other sections. Performs guest safety and recreational work supervising, swimming and enforcing regulations at the hotel pool as well as providing for the guest-s comfort. An essential responsibility of this role includes ensuring cleanliness, setting -up and safety of all areas and facilities and attend to all guests needs within the hotel pool area as per the safety guidelines of the hotels management. Provide excellent service consistent with the hotels standards operating procedures and brand attributes. Greet all guests upon arrival, distribute towels, offer assistance with seating, and delivering consistent guest service, exceeding guest expectations, and providing all other supporting services.. Knowledgeable of pool facility such as length and depth of all pools, how many laps it takes to make complete a mile in meters and feet etc. Pool side Bar hours of operation, location of facilities, and emergency procedure for rescue. Knowledgeable of hotel facilities and services to answer guest inquiries. Willing to take ownership of all guest requests and complaints, try to resolve issues immediately and follow up to ensure the guests satisfaction. Ensure swimming pools and the complete health club area is clean at any times and report any maintenance issues to engineering department. Ensure the pool deck is swept and watered down and that all furniture is in the correct place, when setting up in the morning. Knowledge of the principles and practices of resuscitation, first aide, and CPR/PR techniques. Knowledge of safety hazards and necessary safety precautions sufficient to be able to establish a safe work environment for self and others. Knowledge of swimming pool equipment sufficient to be able to perform minor maintenance work on the equipment. Responsible for maintaining cleanliness of pool deck and facilities including straightening and stacking chairs, collecting soiled towels and trash, moving chairs, towels, replacing flags, and cleaning signs. Facilitate and maintain consistent pool safety programs, training, and documentation to ensure the overall safety of guests in the pool area. Work closely with other departments that are essential to ensuring a positive guest experience. Properly utilize performance feedback, recognition, training, and adherence to company policies, legal requirements. Must have good understanding of the English language. CPR and First Aid Certified is an added advantage. Excellent customer service skills. Ready to work varied shifts during Weekdays, weekends and holidays. Minimum 2-3 years of experience working as a Pool Guest Attendant or Lifeguard in luxury hotels. We are looking for a professional security guard to protect our premises, assets and personnel. You will maintain a high visibility presence and prevent all illegal or inappropriate actions. Being a laundry valet you are responsible to ensure that all laundry services for the hotel guests is done as per the standard policies and is met on time. Also responsible for laundry collection from guest rooms, dry-cleaning, washing, drying, pressing and folding of guest’s laundry along with other hotel linen. Additionally properly tags Guest items and then sorts for appropriate action like Washing, dry cleaning, stain removal, pressing or send for repairing to the hotel tailor. Responsible for picking up and delivery of in house guest laundry. Responsible to collect and deliver outside guest laundry / dry cleaning. Responsible for delivering all guest items punctually, accurately and in a professional and courteous way. Collect laundry and dry cleaning bags from guest rooms and ensure that guest name, room number and laundry pieces are listed. Count and verify all items collected as per laundry price lists / laundry sheet signed by the guest and note down any discrepancy or damages on the same sheet. Check all items for damage or stains and take appropriate action to rectify these issues. Report immediately to the superiors in case any valuable items like cash, jewellery, credit cards or other valuables etc. found in guests cloth pockets. Responsible to processes the guests clothing on the correct equipment / machines using the appropriate chemicals and temperature. Once processed, neatly fold or hangs the clothing as requested by the guest on the laundry sheet. Sorts employee uniforms for appropriate action like washing, dry cleaning, pressing or send for repairing to the hotel’s tailor. Able to processes the staff uniforms on the correct equipment using the appropriate chemicals and temperature. Once processed, hangs and transports clean uniforms to Housekeeping. Shakes wet sheets, table linens and napkins prior to ironing in order to spread them out. Responsible to feed washed linens and napkins into ironer or folder or calender machine. Retrieves folded linens and stacks or hangs clean linens as appropriate. Sorts clean towels, rugs and robes. Uses towel folder and manual folding for bath towels, washcloths, rugs and robes. Operates and maintains folding equipment, presser and iron. Operates and maintains washer, dryer, dry cleaning machine etc. Reports any technical problems or deficiencies to Laundry manager or maintenance team. Places folded product on appropriate rack. Reports any damage or deficiencies in the laundried items to the laundry manager. Assist in inventories and attend all departmental training as informed and scheduled by the manager. Assists with other responsibilities and duties in the absence of other team members or other tasks assigned by the manager. Basic tailoring experience or sewing skills. Recognizing Differences and eye for detail. Understanding of Laundry and Dry-cleaning machines and chemicals. Minimum of O’level is needed. Basic computer knowledge and working experience with laundry machines. Previous experience in a hotel laundry / linen department with minimum 1 to 2 years of experience in large laundry operations of 5 Star or branded hotels. The General Manager is responsible for all aspects of operations at the hotel, day-to-day staff management and guests. He / She should be an ambassador for the brand and the hotel. Provide leadership and strategic planning to all departments in support of our service culture, maximized operations and guest satisfaction. Work Very closely with the hotel owners and other stake holders. Responsible for managing the Hotels management team (HOD’s) and overall hotel targets to deliver an excellent Guest experience. A General Manager would also be required to manage between profitability and guest satisfaction measures. Oversee the operations functions of the hotel, as per the Organizational chart. Ensure full compliance to Hotel operating controls, SOP’s, policies, procedures and service standards. Responsible for the preparation, presentation and subsequent achievement of the hotel’s annual Operating Budget, Marketing & Sales Plan and Capital Budget. Manage on-going profitability of the hotel, ensuring revenue and guest satisfaction targets are met and exceeded. Ensure all decisions are made in the best interest of the hotels and management. Closely monitor the hotels business reports on a daily basis and take decisions accordingly. Ensure that monthly financial outlooks for Rooms, Food & Beverage, Admin & General, on target and accurate. Maximizing room yield and the hotel revenue through innovative sales practices and yield management programs. Prepare a monthly financial reporting for the owners and stake holders. Act as a final decision maker in hiring a key staff. Coordination with HOD’s for the execution of all activities and functions. Assisting in residential sales as and when required and development with strong sales prospects. Responsible for legalization, Occupational Health & Safety Act, fire regulations and other legal requirements. The ideal candidate is a seasoned and highly intelligent hotel professional with outstanding, management skills and extensive hands-on experience. Available to work when needed, including weekends, holidays, and nights. A university degree in Hotel Management or a related field with Experience in opening, managing or re-positioning a hotel with clear track record. Excellent computer system skills. At least 5 to 10 cognate years’ experience in the hospitality industry, with significant luxury and international experience, and a 5 to 10 years of experience as a General Manager or Asst. General Manager. The Executive Sales and Marketing Manager is responsible for the daily sales efforts and is responsible for the overall positioning of the hotel, brand communication and the development of customers for the property including, Rooms, Dining Outlets, and Events. In addition, they are responsible for rental revenue, yield strategies, implementation, market performance and meeting budget, forecast, and optimal business mix targets. Strategies will include pricing, status, direct sales, market mix, marketing, and public relations. Candidates must have a dynamic leadership style, possessing excellent communication and decision making skills and an astute business acumen. Creates an effective Sales Programs that will increase awareness and positive perception of the Hotel, its activities, culinary services, and personnel. Develop rates, group sales deployment strategies through review of competitive data, demand analysis and mix management. Ability to effectively listen, communicate and perform diplomacy with internal and external customers and staff in all situations. Ability to stand and move throughout the hotel property and continuously perform essential job functions. Direct and manage all group, transient, and banquet sales activities to maximize revenue for the hotel. Prepare, implement and compile data for the strategic sales plan, monthly reports, annual goals, sales and marketing budget, forecasts and other reports as directed/required. Bachelor’s degree/ HND/OND in Business Administration, Marketing or any related field. Instructors are responsible for developing individual lesson plans, being familiar with various styles of class formats offered, supervising class participants, and leading instructional sessions. Must understand and interpret various health conditions. Also responsible for highlighting short/medium/long-term issues to the General Manger and to help formulate solutions. The Operations Manager is also required to assist in the preparation of the annual budgeting and monthly forecasting processes. Ensure Standard Operating Procedure (SOP) implementation in all departments and check the same during routine operational checks. Consultant /GRM guidance to be taken wherever required. Monitor the purchase / indent / requisition of each department, the accounts receivable (collection from debtors) and the accounts payable (payable to the vendors / suppliers etc). Inspecting all department with their respective Manager’s for cleanliness, ambience, service readiness, staff grooming & hospitality culture. OND/HND/B.Sc in Hospitality Management or other related field. Excellent revenue management skills with experience of budgets, P&L’s and forecasting. Working with colleagues to share skills, knowledge, resources and networks. Highly focused, have excellent communication skills, be motivated and professional in appearance and presentation. Experience in Property Management Software’s, Revenue Management Systems desired. Minimum 2 to 3 years work experience in a hospitality industry as a Deputy Manager, Asst. Operations Manager or Hotel Manager. We are looking for a Purchasing Officer to buy products that are essential for our company’s day-to-day operations. You will review prices and quality and ensure optimal stock levels. Purchasing Officer responsibilities include evaluating vendors, negotiating contracts and preparing reports (e.g. on orders and costs.) For this role, you should have good knowledge of market research, along with solid analytical skills to make sure you’re identifying the most profitable offers. Ultimately, you’ll create and maintain good relationships with key suppliers to ensure merchandise is high quality and delivered on time. As an IT Manager you will be responsible for the day-to-day support of all IT systems, business systems, office systems, computer networks, and telephony systems throughout the hotel / resort. Additionally responsible for Information Technology issues, products, and services at the property. Provides user training and support of all property/site systems, network enhancements, hardware and software support. Also maintains inventory of all hardware products and software licenses, and reviews maintenance agreements. A warm personality, attentive and smartly presentable. Committed to delivering high levels of customer service. Responds courteously and efficiently to queries and problems from guests and system users. Ensures cleanliness of all data equipment and computer rooms. He / She must be a self-starter, alert, energetic, responsible and flexible. Responsible for smooth functioning and co-ordination of vendors for Guest Internet, Property Management Systems – PMS, Point of Sale – POS, IPTV, Telephony systems and other software vendors. Ability to troubleshoot hardware and software problems. Responsible for overseeing and handling network configuration, Servers, Workstations, Networking equipment, PABX, email accounts, and also support for the underlying server/desktop infrastructure. Should be capable of doing Root Cause Analysis on a problem. Must know the Network fundamentals, general network setup and device configuration. Good knowledge of server hardware, Disk storage technology, I/O devices. Skilled in usage of system level profiling tools and network monitoring systems to aid in application performance profiling (iostat, Nagios). Knowledge of network infrastructure, including CAT5/6 cabling, wireless networks, network switches, WAN/LAN, domain controller, Active Directory, firewall and VPN applications. Background in highly available systems and image capture/management systems. Extensive knowledge on Active Directory, Management and Implementations. Prepare & Implement Preventive Maintenance Schedule for all IT hardware & Software. Manage leadership in the establishment of project scope, technical strategy , cost, budget and staff support requirements with new IT initiatives. Prepare Policy & Procedures for the IT Department and for the user department. Managing Disaster Recovery Process and ensuring regular daily backup is taken. Anti virus setup and day to day support. Able to plan, assign and take the report from the IT team. Identifies and implements solutions to user challenges and concerns associated with the use of personal computer equipment. Ensure that policies and procedure relating to PCI compliance are updated. Maintains a system error / progress log book and deals with reported problems. Responsible to ensure that IT Audit points are implemented as per relevant Standard operating Procedures. Monitors and maintains proper inventory of hardware and software license. Is aware of IT Security Policies and ensures implementation through regular staff training. Keep updated with latest hotel technology and security risks on a regular basis. Able to perform other IT or Systems related task assigned by the management. Excellent organizational and prioritization skills, attention to detail, and problem-solving skills. Must be mature, pleasant, courteous, cooperative and an enthusiastic team player who displays good human relations’ skills. Must be flexible in working hours, including weekends, evenings and holidays. Degree or Diploma in Information Technology field. Along with Indepth knowledge of Microsoft Operating systems, Microsoft or Cisco certification. Applicable Microsoft certifications: MCSA, MCTS or MCITP for Windows Server, MCDST for workstations. Experience with these Hospitality related applications and or systems (PMS, POS, Key card, PBX, Voice mail). A minimum of 2-3 years of experience in Hospitality industry:- Operations and IT support roles. Along with minimum of 2 years of Supervisory / managerial experience. We are looking for an objective internal auditor to add value and improve our operations by bringing a systematic and disciplined approach to the effectiveness of risk management, control, and governance processes. The successful candidate will possess a thorough knowledge of accounting procedures and a sound judgement. We cherish your opinion and we look forward to it. Hence, if you need us to feed you with more updated information at the right time about Autograph Hotels and Apartments Recruitment 2019, kindly provide us your phone number and email Address in the comment box below.